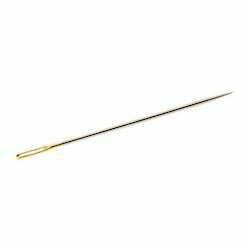 In order to retain remarkable position in this industry, we are providing a wide array of Sewing Needle. Our reputed entity is engaged in supplying Sail Needles. 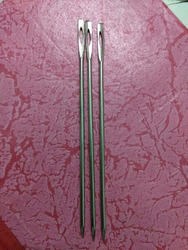 We have an exclusive range of Needle Bar (PB SV) offering to our clients. In addition to this, the provided range is used for handling flow in in delicate gauges that could be damaged by sudden surges of fluids under pressure. These are customized as per the industrial requirement and specification. We provide this range at most affordable prices. We are one of the prominent suppliers of needles, a comprehensive range of high quality products that is highly demanded by the clients. All these products are designed in accordance with international quality standards, using high grade raw material and components. These frames can also be customized as per the requirements of our clients and are offered at market leading prices.